Across the country, the end of summer often marks the start of increased hiring. Want to know where workers are most in demand in Chicago, and what the best industries to work in might be? 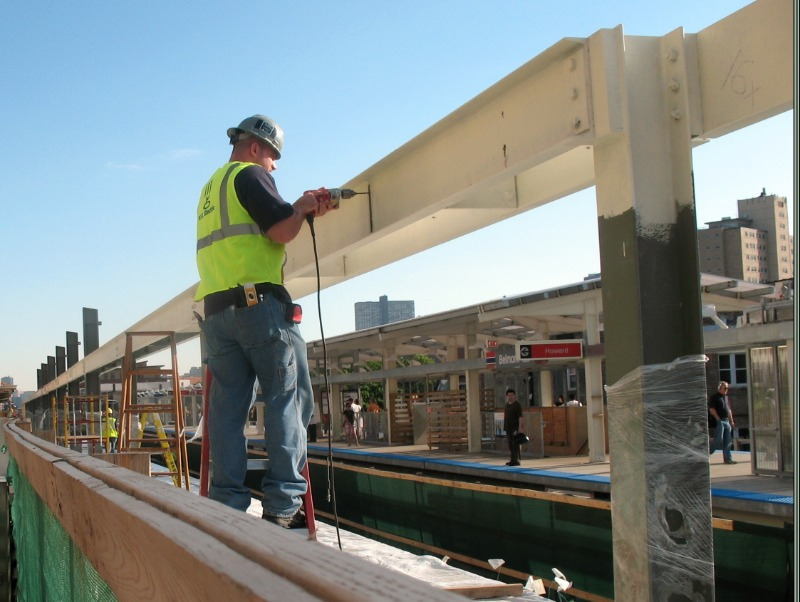 Last month, computer software topped the list of industries based on the number of open jobs in Chicago, but construction and aerospace ranked highest in overall employee satisfaction, according to data from jobs site Glassdoor. Many current industry trends in the city reflect patterns at the national level, while one is unique to the area. 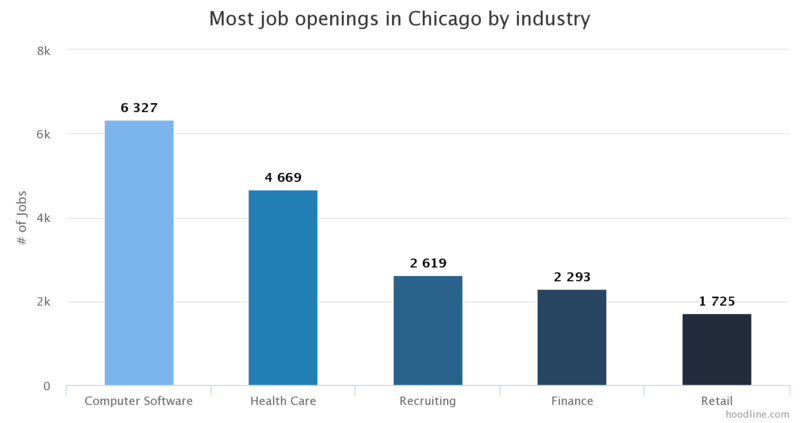 Of the five industries recruiting the most workers in Chicago last month, computer software, health care, recruiting, and retail were in the top five nationwide; finance ranked fourth in Chicago but only ninth across the U.S. If you're a registered nurse, you're seeing plenty of opportunities for hiring and advancement in Chicago. RNs represented the position most in demand on the hiring market last month, with software engineers, project managers, retail representatives, and sales associates filling out the top five most job openings by occupation. When it comes to how employees rate their employers across industries, Chicagoans diverge from patterns in other parts of the country, according to Glassdoor's data. Companies with the highest employee ratings in the U.S. appear in real estate, accounting and law, internet tech, computer software, and recruiting. Companies in only one of those industries--recruiting and staffing--are also rated highest among those hiring this month in Chicago. 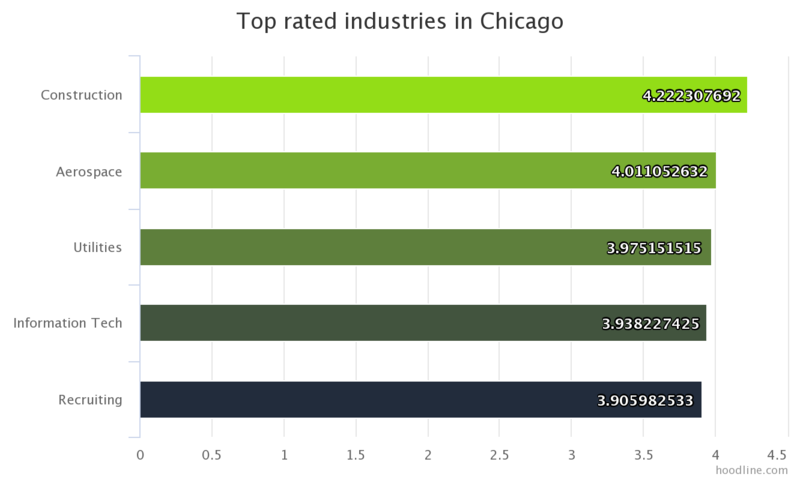 Among highly rated companies with new job listings last month, employees gave Chicago-based construction companies an average overall rating of 4.22 out of five stars in the city; local aerospace companies earn an average rating of four stars, utilities companies an average rating of 3.98 stars, and IT companies around 3.94 stars. Software and hardware companies like Uber, Donnelley Financial Solutions, and CDW are looking for large numbers of software engineers, account executives, and account managers. And construction firms like Walsh Construction, HD Supply, and Jacobs are currently hiring project managers, project engineers, and purchasing managers.